As mentioned, not all this afternoon’s fixtures have survived the elements sadly with snow and freezing temperatures having swept across most of the country for the past few days. For the latest information on what games have been called off, take a look at our full list here. This afternoon’s conditions remind me of a time about eight years ago this time of year when I witnessed my first and only abandoned match. Ipswich hosted Middlesbrough at Portman Road on a day where the mercury plummeted as low as -11C! After about three pitch inspections were passed, the game started but 24 minutes in, that was it – it was still far too frozen to continue. What it meant was a bit of free time before heading home and some puzzled looks all round. Have you got a similar story to tell? If so, let us know using #bbcefl and we’ll share as many as we can. Wembley Stadium’s been the venue for this afternoon’s early action in the Premier League. Spurs and Newcastle are battling it out in the wintry sunshine where it’s currently 1-0 to the hosts in the closing stages courtesy of a goal from Son and you can follow all the action here. Not all of League Two’s matches have survived the elements, but a couple of those that have feature a recurring theme of high fliers against strugglers. Leaders Lincoln City travel to bottom of the table Notts County – probably not the opposition County would’ve wanted after a week of turmoil off the pitch for owner Alan Hardy. Meanwhile, second-placed Mansfield Town host second-from-bottom Macclesfield Town. Bury in third will also hope to keep themselves in the automatic promotion places when they host Crawley Town. League One’s form horses are most definitely Luton Town, who after a midweek victory over Portsmouth have a five-point lead at the top. The Hatters travel to Shrewsbury Town this afternoon while second-placed Pompey will bid to halt a run of three straight league defeats when they host Doncaster Rovers. Elsewhere, Darren Ferguson is back at London Road for the first time since starting his third spell in charge of Peterborough United at home against Plymouth Argyle. Sadly in the north west, the weather has got the better of Accrington’s match at home against Blackpool and forced a postponement. Without doubt, the pick of the day’s action comes in our late kick-off at 17:30 GMT. Leaders Leeds host second-placed Norwich at Elland Road with a chance for the hosts to move six points clear at the top. Sheffield United meanwhile have a chance to close the gap on those two before they even kick-off when they host struggling Bolton. 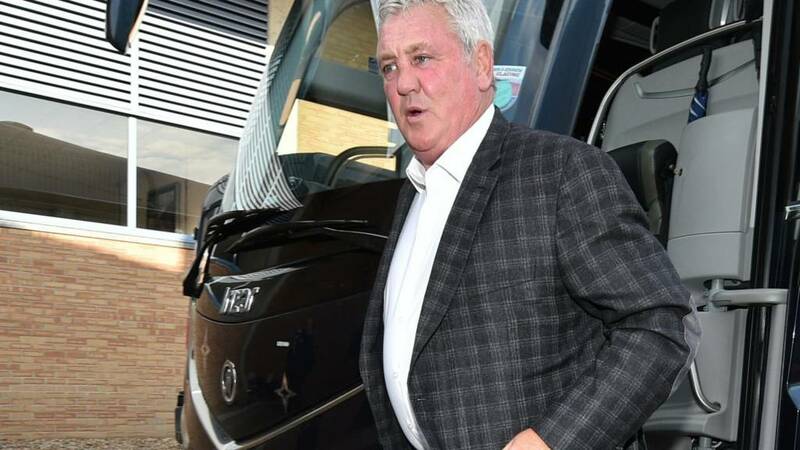 Play-off contenders West Brom and Middlesbrough meet in another “Tony Pulis Derby” while Steve Bruce’s long-awaited bow as Sheffield Wednesday boss comes at bottom-placed Ipswich. Still able to feel your fingers and toes? Good. Have no fear, the EFL is here to blow a warm wind through the snow and ice covered parts of this frozen isle. A few fixtures may have sadly not beaten the conditions, but we’ve still got plenty on offer to help melt away those snow flurries. Stay tuned – plenty to come between now and 19:30 GMT.